Night School, the racing industry’s free national online fan education program, offers international intrigue in this Tuesday’s 23rd of 40 lessons on the 2013 syllabus. “Evaluating Import Horses” will be the topic of conversation in advance of such important summer races as the Arlington Million. The live, interactive chat will begin at 8:30 p.m. ET, and among the guests will be HRTV analyst Zoe Cadman. The retired jockey and horsewoman was born in England and learned the game under esteemed trainers like Sir Mark Prescott at Newmarket and Michael Dickinson upon coming to the United States. Tuesday’s 90-minute live Night School presentation also will include an interview with Adrian Beaumont, director of Racecourse Services at the International Racing Bureau. This week’s free downloadable study materials include links and information on racing circuits worldwide in Thoroughbred and Standardbred racing. Fans can take part in the class free by visiting any one of the 40-plus websites that provides the Night School lessons each week. For those who cannot attend live, the Night School archives always are available free, immediately following the session and beyond. Videos used in all lessons also can be seen at www.youtube.com/horseplayernow. This week’s Night School will be followed at 10:00 p.m. ET by the “After Night School Special,” featuring live racing from Mountaineer Park. The segment will cover the evening’s final race in real time with free, live-streaming video. Fans wishing to take part in the Mountaineer action simply need to remain in the Night School chat after class. Free past performances are available, courtesy of BRIS. 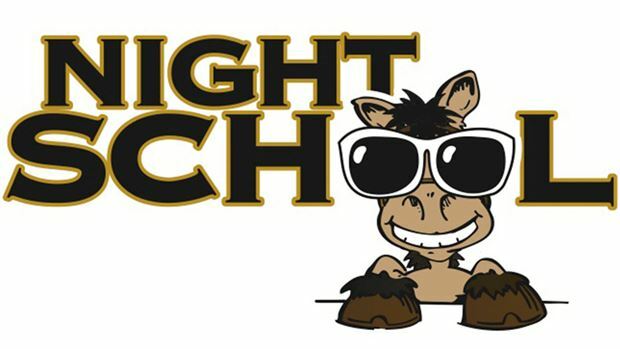 Updated Night School Tour schedule: http://horseplayernow.com/10-night-school/5-night-school-tour.